This vinaigrette recipe uses chive blossom infused vinegar and fresh chives for an extra boost of flavor for your favorite salads. Homemade vinaigrette can be whipped up in only a few minutes with simple ingredients you probably already have in your kitchen. In this recipe, the mild onion flavor of chive blossom vinegar is combined with honey, Dijon mustard, and fresh chopped chives. Toss this flavorful vinaigrette salad dressing with baby greens. Oils: Oils can range from extra-virgin olive, grapeseed, walnut, sunflower, other nut oils, or even warmed rendered bacon fat. Acids: The most common acids are vinegars such as champagne, balsamic, white wine, or rice. Any of these vinegars can also be infused with other flavors like the Chive Blossom Vinegar Infusion shared previously. Citrus fruits, including lemons, oranges, and limes are also an acid but you may need to use more than 1 part to balance the flavors or use in combination with vinegar to brighten up the flavor of your dressing. Seasoning: Seasoning choices are endless but some basics are shallots, garlic, various herbs, red pepper flakes, Dijon mustard, and honey. It is really fun to experiment with different oils, acids, and seasoning combinations. This homemade chive vinaigrette can be whipped up in only a few minutes with a few simple ingredients including fresh chives from your garden. 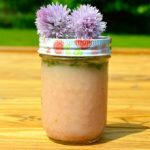 This recipe uses infused Chive Blossom Vinegar, but you can substitute any vinegar for your own unique version. Once you begin making homemade salad dressings, you will never go back to pricey store bought bottles with questionable ingredients. Vinaigrette is not limited to salads either. 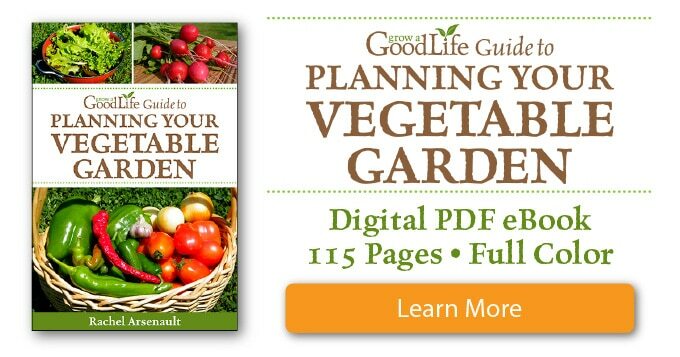 Try using as a marinade or drizzle over roasted vegetables. 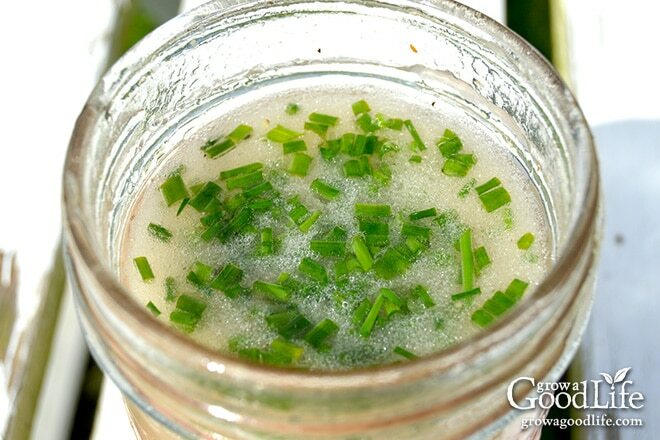 The mild onion flavor of chive blossom vinegar is combined with honey, Dijon mustard, and fresh chopped chives. Toss this flavorful vinaigrette salad dressing with baby greens. 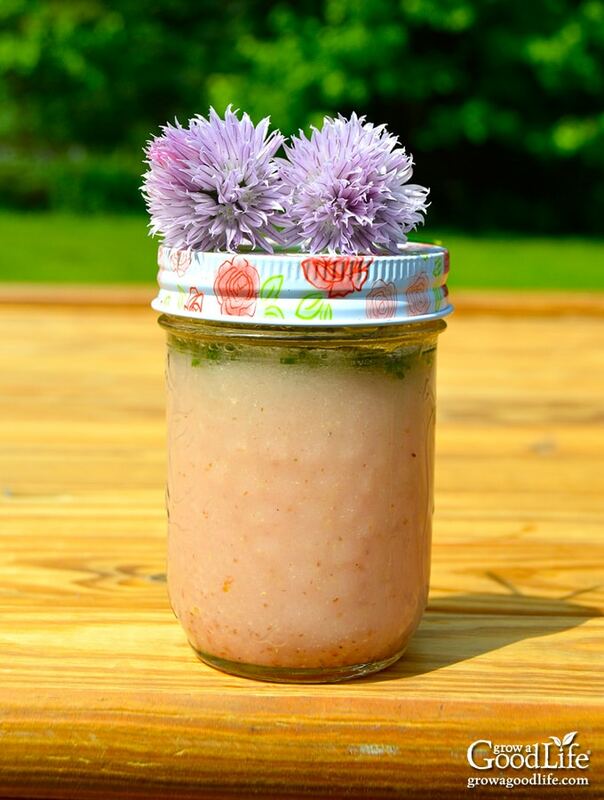 Place all the ingredients in a mason jar and shake vigorously until emulsified. Serve immediately. Makes 1 cup. Store any leftovers in the refrigerator for up to a week. Just remember to remove from the refrigerator 10-minutes before serving to allow the oil to warm to liquid form. Shake well before pouring on your salad. 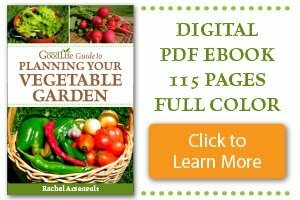 Do you make your own salad dressings? Feel free to share your favorite recipe in the comments below. I’ve never had chive blossom vinegar. I’m curious to try it now. Thanks for sharing your vinaigrette recipe on Merry Monday. With yummy ingredients like these, I will be making this dish for friends and family quite often. 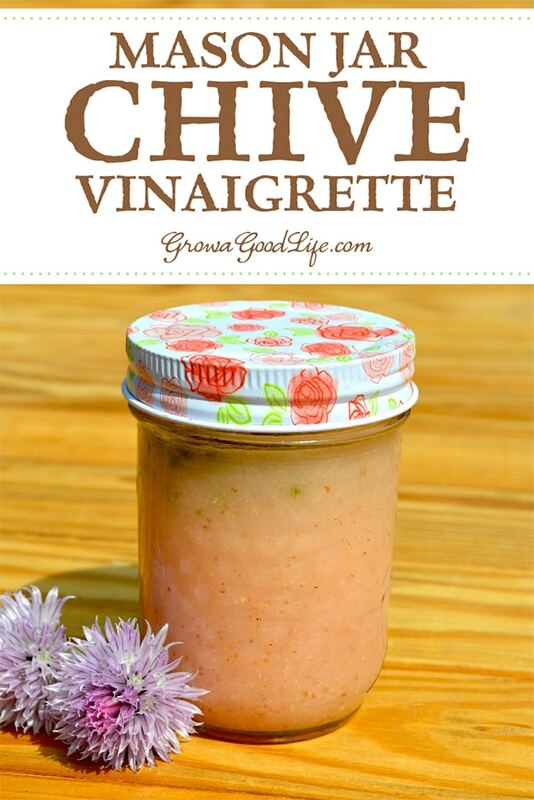 Thank you so much for sharing this delicious Mason Jar Chive Vinaigrette Recipe with us at the Healthy Happy Green and Natural Party Blog Hop! I’m pinning and sharing. Thank-you for the reminder. I have loads of chives in my garden right now and didn’t know what all to do with it! I enjoyed reading your post! The recipe looks great. I would not have thought to include chopped chives and will keep that in mind for my dressing tonight. My go to salad dressing is pretty simple — apple cider vinegar, dijon mustard, minced garlic, best quality olive oil, sea salt and pepper. Pinned this recipe as a reminder. Thanks! Sounds absolutely delicious and so simple to make. Thanks for sharing on Real Food Fridays.Pinned & twitted. This look really good. Always love a new vinaigrette recipe. I like the lid on the jar too – super cute! This sounds delicious. A great way to use some of the chive blossoms I have in my garden right now. I’ve been making a lot of green goddess inspired dressings. Basically buttermilk and yogurt as the base with garlic and lots of herbs often parsley, tarragon, and chives, but I mix it up and use others too. I like mint and store bought sumac in it a lot too for a more Persian taste. Daphne, I love creamy dressings too because of the way they cling to the salad leaves. It is fun to explore different flavors and textures.